Her most recent books are Lean Body, Fat Wallet, The Sixty Minute Money Workout, Living Rich for Less. Her book Heroes at Home has touched the lives of nearly 100,000 military families. Ellie is also an adventure seeker and enjoys riding in an F-15E Strike Eagle fighter jet, skydiving, bungee jumping, hydrofoil racing, ziplining and mechanical bull riding. Despite her professional success, Ellie says her greatest role is being a wife to her test pilot husband and mom to their seven children. She currently serves on Congressional 25 District All Academies Admissions Panel and on Military Family Advisory Network as a Advisory Board member. She is President of the Shop Talk Toastmasters Club, the West Point Parents Club of Southern California and the Air Force Academy Parents Club. Visit her web site at www.elliekay.com. Host of Savings Tips With Ellie Kay in Northern New York and Canada. Visa Providian – desk side interviews with editors, online education, Q&A with Ellie Kay and the “Ellie Kay – Providian Sweepstakes” – providing education on FICO scores and monthly tips to save money and pay down credit card debt. Ellie is a 1993 graduate of Colorado Christian University with a B.A., Management of Human Resources. With over 20,000 volunteer hours to her credit, she is the recipient of dozens of local volunteer awards. Family Despite a rigorous schedule, Ellie maintains her family as highest priority. She is married to Bob Kay, a test pilot with over 25 years experience and retired USAF. The Kay’s have seven children, including three military sons who attended USNA (Capt Robert Philip Kay, JR, 2011, USMC); USAFA (2Lt Jonathan Kay, 2015); and USMA (CDT Joshua Kay, 2017). Col Kay is a retired USAF Fighter Pilot with 30 years of military service. 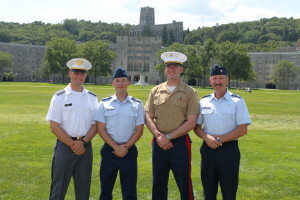 He has three sons serving in the military as graduates of USNA (Capt Robert Philip Kay, JR, USMC); USAFA (2 Lt Jonathan Kay); and USMA (CDT Joshua Kay, 2017). For the last decade, he has served on a dozen Congressional All Academies Panels to select appointees for DOD Academies. He recently won the “Excellence in All We Do” award from the United States Air Force Academy for exceptional service above and beyond as a distinguished alumnus. He was also a featured speaker for the Heritage Falcon Forum celebrating 60 years of USAFA grads and leaders. Out of the thousands of alumni, he was one of only 20 chosen to speak at the event. 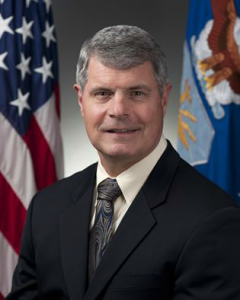 He has extensive and proven leadership performance in industry program management/flight test as well as Air Force operational and training organizations. Achieved high level of success in executing varied and diverse programs. Consistently improved organizational and program value by developing/executing strategic plans that increased efficiency and identifying key risks then effectively mitigating them. Placed high priority on identifying, mentoring, and training subordinate leaders. Certified as a Project Management Professional (PMP) by the globally recognized Project Management Institute (PMI). Active DoD Secret Clearance with ability to obtain Top Secret. BAE Systems, Flight Systems, Mojave CA. Reorganized and revitalized corporate aircraft flight and test operations. Crafted detailed flight regulations and processes bringing structure and accountability to company flight operations. Direct all company aircraft movement and flight operations in local area (Edwards AFB airspace complex). Current and qualified QF-4E/QRF-4C maintenance/production test pilot, Instructor Pilot and Flight Evaluator. Flew as Pilot-in-command of company Sabreliner aircraft (40 and 60) while leading cadre of contractor pilots. Flying program was rated as “Benchmark” by UK based BAE Systems inspector during bi-annual evaluation/audit. BAE Systems, Flight Systems, Mojave CA. Selected as both Program Manager and maintenance/production test pilot. Led all elements of the only Department of Defense Full Scale Aerial Target (FSAT) Unmanned Aerial Vehicle (UAV) production program. Executed customer integration requirements, budget, schedule and cost control (specifically Earned Value Management). Refined program IPT’s ability to quickly respond to customer driven changes to systems architecture, combined with keener diagnostics/root cause analysis and risk identification/mitigation. Briefed senior management on program status/progress on a monthly basis during high-level business reviews. Extensive coordination with Mojave Air and Space Port senior management and operations personnel. Program was never graded less than “green” overall (usually higher). Further, team performance and communication brought customer ratings to historic heights on the annual Contractor Performance Assessment Report (government “report card”). Customer reported the relationship with Flight Systems had risen to an “unprecedented” level. Company Chief Pilot as well as a fully qualified QF-4E Instructor Pilot. Detachment 1, 82nd Aerial Targets Squadron, Holloman AFB, NM. Selected to again command this geographically separated unit with a 40 person pilot/maintenance force, over 25 assigned aircraft and $1.5 million budget. Duties included directing, integrating and executing complex FSAT UAV flight test operations at the White Sands Missile Range. Required further coordination with the extremely aggressive daily flying schedule of the host fighter wing utilizing F-117, F-4, T-38 and German Air Force Tornado aircraft. Certified Government Flight Representative (GFR) ensuring contractor performance work statement compliance with aircraft maintenance, unmanned and manned flight operations with emphasis on safety, risk assessment and mitigation. Customers were consistently pleased across the board as documented on numerous evaluations—no program was ever cancelled due to an FSAT not being available. QF-4E/G Instructor Pilot and Flight Evaluator. F-117 fighter wing with 1000 people and $2 billion in assets. Successfully blended a highly diverse senior staff containing many higher ranking officers into a more cohesive unit. S. Army’s 10th Mountain Division. Totally restructured and streamlined squadron processes with emphasis on teamwork, realistic training, warrior spirit and professionalism. Several squadron members went on to expertly control CAS sorties during OPERATION ANACONDA in Afghanistan. Detachment 1, 82 Aerial Targets Squadron, Holloman AFB, NM. Competitively selected as the commander of a remote flying unit flying the QF-106 FSAT UAV (predecessor to the QF-4). Demonstrated high level of acumen in the extensive coordination and planning of test operations with many diverse agencies within the Air Force and U.S. Army at the White Sands Missile Range. Certified GFR for all aspects of contractor ground and flight/test operations. 49th Flying Training Squadron, Columbus AFB, MS. AT-38 Instructor Pilot. Directed and ensured integrity of flying operations and student training in the Introduction to Fighter Fundamentals syllabus program. Mentored subordinate flight commanders in leadership, instructional and flying skills. Cadet Squadron 02 (Air Officer Commanding) USAF Academy, CO. Selected as a squadron commander via an intensely competitive process. Provided and modeled leadership principles and techniques to over 110 highly motivated Air Force Academy cadets. Monitored cadet professional development skills, health, welfare, and morale. 35th Tactical Fighter Training Wing, George AFB, CA. F-4E Instructor Pilot, Certified Air-to-Air and Air-to-Ground Academic Platform Instructor. Ensured student curriculum was of highest quality. Led and guided cadre of professional platform academic instructors. Hand-picked as executive assistant to the wing commander; led command section personnel, coordinated all staff paperwork/communications, and managed the demanding schedules of both the wing and vice wing commanders. policies, goals and objectives. He also assists in Air Staff organization and administration to support the Air Force’s mission. Mr. Weida retired from active duty on May 1, 2011 in the grade of major general, U.S. Air Force. He assumed his present position on April 21, 2014.
for the United Nations Command and U.S. Forces Korea, Yongsan Army Garrison, South Korea. 1987 Master’s degree in public administration, Golden Gate University, Calif.
1993 Master’s degree in national security and strategic studies, Naval War College, Newport, R.I.
July 1978 – May 1980, Student, undergraduate pilot training, Williams AFB, Ariz.
May 1980 – March 1982, Instructor Pilot, 96th Flying Training Squadron, Williams AFB, Ariz.
March – July 1983, T-37 Instructor pilot and flight examiner, 82nd Flying Training Wing, Williams AFB, Ariz.
March 1984 – March 1985, F-16 Pilot, 35th Tactical Fighter Squadron, Kunsan Air Base, South Korea. March 1985 – February 1988, F-16 Instructor Pilot and Flight Examiner, 33rd Tactical Fighter Squadron, Shaw AFB, S.C.
November 1988 – March 1991, Thunderbird pilot and operations officer, Nellis AFB, Nev.
March 1991 – August 1992, Commander, Cadet Squadron 27, U.S. Air Force Academy, Colorado Springs, Colo.
August 1992 – September 1992, Student, Naval War College, Newport, RI. September 1992 – April 1995, Executive Officer to the 9th Air Force Commander, later, Commander, 20th Operations Support Squadron, and Chief of Standardization and Evaluation, 20th Operations Group, Shaw AFB, S.C.
April 1995 – May 1997, Commander, 12th Operations Group, Randolph AFB, Texas. May 1997 – August 1999, Deputy Assistant Chief of Staff for Operations (J3), U.S. Forces Korea, Yongsan Army Garrison, South Korea. August 1999 – January 2000, Chief, Combat Forces Division, Plans and Programs Directorate, Headquarters U.S. Air Force, Washington, D.C.
January 2000 – July 2001, Commander, 388th Fighter Wing, Hill AFB, Utah. July 2001 – April 2003, Commander, Squadron Officer College, Air University, Maxwell AFB, Ala.
April 2003 – December 2005, Commandant of Cadets and Commander, 34th Training Wing, U.S. Air Force Academy, Colorado Springs, Colo.
December 2005 – January 2007, Director, Intelligence and Requirements Directorate, Headquarters Air Force Materiel Command, Wright-Patterson AFB, Ohio. January 2007 – June 2007, Commander, Air Force Security Assistance Center, Wright-Patterson AFB, Ohio. June 2007 – July 2009, Deputy Chief of Staff for the United Nations Command and U.S. Forces Korea, Yongsan Army Garrison, South Korea. July 2009 – April 2011, Assistant Deputy Chief of Staff for Operations, Plans and Requirements, Headquarters U.S. Air Force, Washington, D.C.
May 2011 – May 2012, Deputy Director for Strategy and Policy, Joint Force Development, J-7, the Joint Staff, Pentagon Washington, D.C.
June 2012 – April 2014, Deputy Director Operational Planning, Policy & Strategy, Deputy Chief of Staff, Operations, Plans and Requirements, Headquarters U.S. Air Force, Washington, D.C.
April 2014 – present, Deputy Director, Air Force Staff, Headquarters U.S. Air Force, Washington, D.C.
May 2011 – June 2012, Deputy Director for Strategy and Policy, Joint Force Development, J7, the Joint Staff, Pentagon Washington, D.C.
Gerri Detweiler has more than 20 years of experience guiding individuals through the confusing world of credit, and had earned a reputation as a reliable and independent resource on personal and small business credit. Gerri is the author or co-author of five books, including her newest title, Finance Your Own Business: Get On The Financing Fast Track. She serves as Head of Market Education for Nav, which provides business owners with simple tools to build business credit. A prolific writer, her articles have been featured on popular websites such as Yahoo!, MSN Money, ABCNews.com, CBSNews.com, NBCNews.com, Forbes, The Today Show website and many others. Danna Demetre is a proud military spouse and an international author and speaker best known for the way she inspires people to change their habits from the inside out and live more healthful lives. 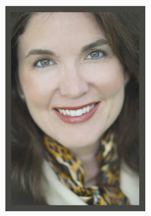 She is the co-author of Lean Body, Fat Wallet (Thomas Nelson Publishers) that makes the connection between health and wealth in forming sustainable life changing habits. As a wealth expert, she has a background from 1987 – 1994 as the Marketing Manager, Aetna Insurance – Annuity Division where she was responsible for acquiring and managing 403 (b) and 457 group retirement cases (for municipalities and non-profit sectors) for all of northern California and Nevada. As the registered principal, Danna was responsible for a team of 40-50 registered representatives that enrolled and serviced the individual employees across their territory. She managed cases with hundreds of millions in retirement assets. She also served as the west coast region corporate trainer – facilitating the Covey Seven Habits of Highly Effective People program to their entire region. As the health expert, she is an RN specializing in women’s health issues. Her book, Scale Down…A realistic guide for balancing body, soul & spirit and companion curriculum, Scale Down…Live It Up! is being used in small groups all over the United States, Canada and even England and Australia. Most recently, it will be a featured product for the Women of Joy conferences in 2011 run by Phil Waldrep Ministries. From life changes to changing habits, Danna continues to offer practical insights and tools to help many reach their lifestyle goals and is often referred to as “The Woman’s Total Life Coach”. She is also a frequent expert guest on radio and television and shares her dynamic messages with thousands each year as a keynote retreat and conference speaker. Her most recent book, What Happened to My Life? was released in May 2010. She also writes a weekly blog called: Growing Young…Stay Youthful from Midlife On and a monthly blog called: Intentional Living. Danna has been a guest multiple times on a variety of shows to include, Fox News Dallas, The 700 Club and Crossroad’s 100 Huntley Street. She was also featured on Life Today and partnered with them on the first DVD seminar series for Scale Down as well as another project called Journey to Wellness which also featured best-selling author, Jordan Rubin. Danna has also appeared on ABC NEWS NOW, Good Money Show with Ellie Kay. Danna produced and co-hosted a daily talk radio show on Salem Broadcasting for three years in addition to hosting her weekly health show, Health Solutions Today for over five years. She’s been an expert guest multiple times on radio stations around the country and is a favorite on many to include Moody Broadcasting’s award winning, Midday Connect. Danna is a 1974 graduate of Shoreline School of Nursing in Seattle, Washington. She was a practicing registered nurse for over 13 years specializing in Labor and Delivery. Danna has partnered with World Vision since 2004. She shares the needs of children in third world countries with her audiences and was recently awarded for her work in facilitating over 1000 child sponsorships. Danna and her adopted son, Jesse were also awarded with a trip to Nicaragua and were able to meet three of their personally sponsored children. With many volunteer hours to her credit, she is the recipient of many local volunteer awards in her community. Danna is dedicated to living a life of balance, which means spending quality time with her family – which includes her 80-something parents who live on block away and have been married over 60 years. She is married to Lewis, a West Point graduate and former Army officer who is now an international V.P. of Marketing. They enjoy travelling, outdoor activities, family days and celebrating life. Pam Farrel , with her husband Bill, are international speakers, and authors of over 40 books including best-selling Men are like Waffles, Women are like Spaghetti. They are relationship specialists and seek to help people become “Love-Wise” (www.Love-Wise.com ) Pam has a heart for women, as a mentor and then serving for 15+ years as Director of Women’s Events for her own non-profit. Pam is also a sought after women’s speaker encouraging women from her books: Woman of Influence, 10 Best Decisions a Woman Can Make, and Devotions for Women on the Go, 52 Ways to Wow Your Husband, Raising a Modern Day Princess, 10 Secrets to Living Smart, Savvy and Strong, Becoming a Brave New Woman , Red Hot Romance Tips for Women and her newest 7 Simple Skills for Every Woman: Success in Keeping Everything Together. Pam has keynoted for mega events for women, like Hearts at Home with as many as 8000 in attendance, as well as numerous conference centers and travels overseas to speak for marriage, family and women’s events as well. The Farrels set up a curriculum for the country of Singapore to strengthen the family and marriage. Pam has mentored numerous authors and speakers. Her speaking is characterized by her trademark humor, authentic relevance and practical insights. Pam Farrel along with her husband Bill, have presented to Military Marriages through several military non-profit organizations. (PWOC, Cadence, Lifeway, MilMin, and many base chapels) throughout the world including several bases in Germany, South Korea, FL, VA, CA, MS, CO, SC, and Hawaii. Pam also served for several years as a monthly marriage expert on a military marriage blog radio show that military wives worldwide tuned in to gain encouragement and equipping to strengthen their marriages and families. A graduate of Cal State San Marcos with a BA in English, Pam has worked in the author speaker space for over 25 years. The Farrels have been happily married for 36 years and are parents to three children, and all are married so their family now includes three daughters in laws and three small granddaughters and a grandson. In their free time, you will likely find the Farrels near the beach! Demonstrated leadership, technical, and organizational skills; effective Section Lead with superb people-skills; solid history of performance as US Air Force pilot including 3500 hours of flying time as T-38, EF/F-111, and F-117 pilot/instructor pilot; Chief Engineer for BAE Systems Planning and Control Technologies, Technology Solutions; Program Manager for a portfolio of programs currently valued at $11M. TS based on most recent special background investigation completed 2011.